The laser session involves a clinical screening of your skin and vascular lesions. If it is an initial session, the practitioner will perform a test on a small area to adjust the laser and adapt its power to the lesion in order to practice with maximum security. This test is often practiced during the consultation of balance (this consultation is usually free). During the actual meeting of laser treatment, the doctor will treat all vessels according to their course. The vessel disappears immediately in most cases. Redness may appear on the route in the following days and last about 15 days approximately. This is a test of efficacy of laser treatment. The disappearance of the vessels phase lasts about 3 weeks after the laser Act. During the first consultation, the doctor performs a careful examination of your skin. It establishes a diagnosis of telangiectasias and lesions of vascular nature that can be treated by laser. After a clinical examination and a medical examination, it may establish a program of treatment for each patient and set targets. Treatments legs, the collaboration between physician quite and physician angiologue can be very interesting insofar as a highly comprehensive and phlebologique balance to obtain better results with single laser. The angiologue will be able to treat invisible venous lesions that feed the network of visible telangiectasias. The laser Act will complement the result on an aesthetic level for better efficiency, fewer meetings and a longer holdover time. 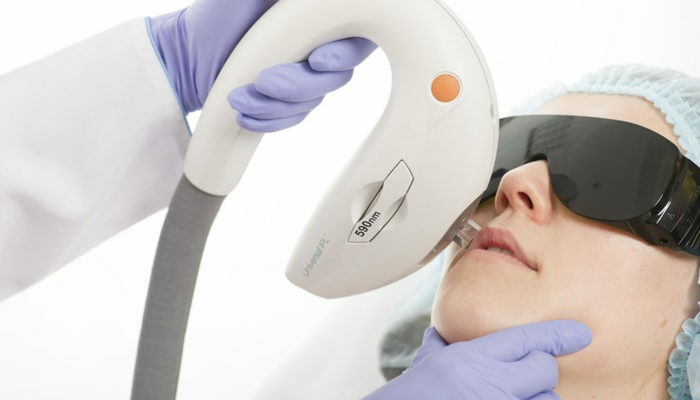 Vascular lesions by laser treatments have become effective techniques on the face or lower member. Care by laser damage to the vessels of the legs require collaboration between doctor quite and your angiologue to take in charge of overall anomalies. Vascular lesions of the face, nose, Ruby angiomas are usually handled by single laser. The effectiveness of the technique is based on strict and rigorous medical control for optimized security. 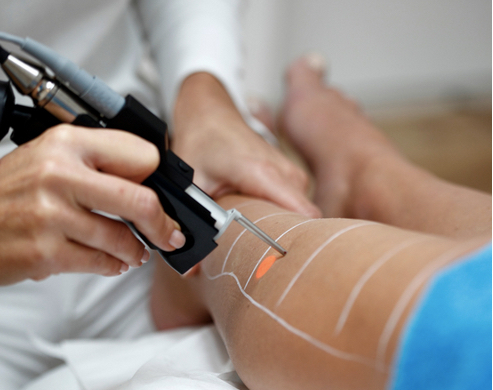 The treatment of venous lesions by laser has a variable number of sessions. Ruby Red birthmarks, nevi usually require one to two sessions. PWS (port-wine stains) can require a number more important meetings. Telangiectasias of the face and the limbs are usually processed into two sessions but may require maintenance sessions. Impacts lasers are variably felt by patients. The more often described sensation is a feeling of tingling. There are local anesthetics in the most sensitive areas. HOW LASER CLEARS THE VESSELS? The laser produces a light consisting of a single color. This light has an energy that allows to treat superficial cutaneous vascular routes. The destruction of superficial vessels is provided by a physical reaction of the heat laser light conversion. The laser beam penetrates through the skin and is preferentially located on the superficial veins of the skin. In contact with light, this blood in the veins clot and clog them. The ship disappears immediately. The phenomenon of multiple sclerosis laser continues to continue for two to three week.